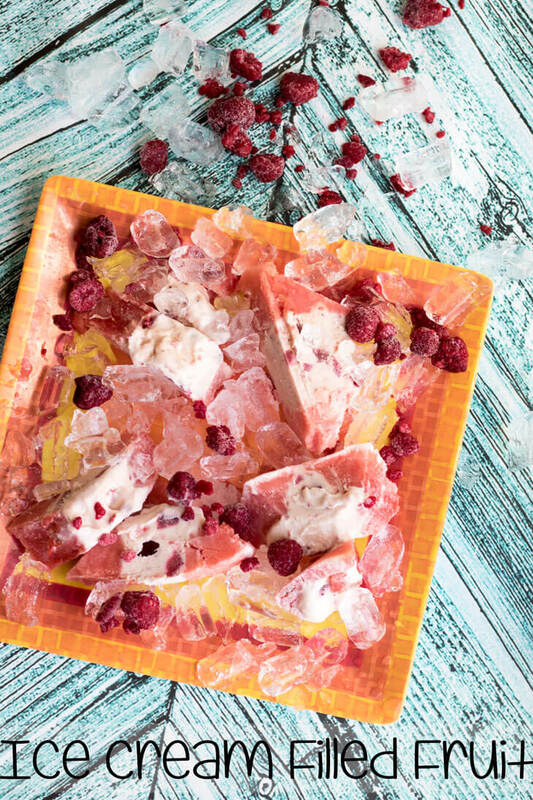 This frozen ice cream and fruit treat is just what you need to treat yourself on a hot day! Today was a warm one here and I know we enjoyed this. 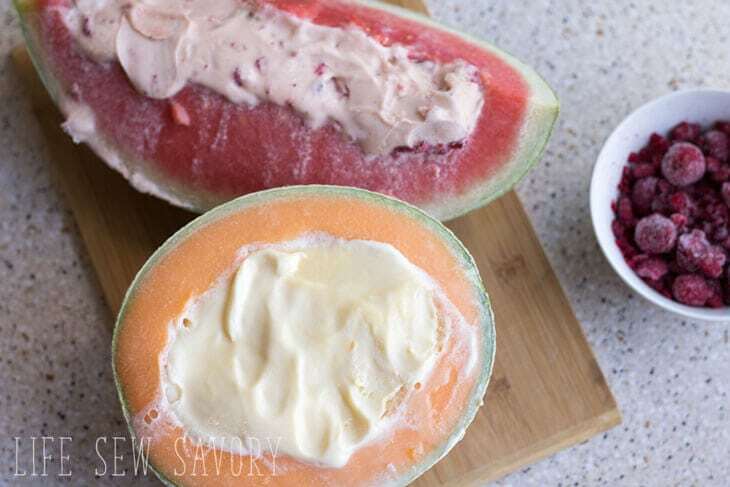 I put ice cream inside melon and froze the whole thing for delightful ice cream filled fruit dessert. 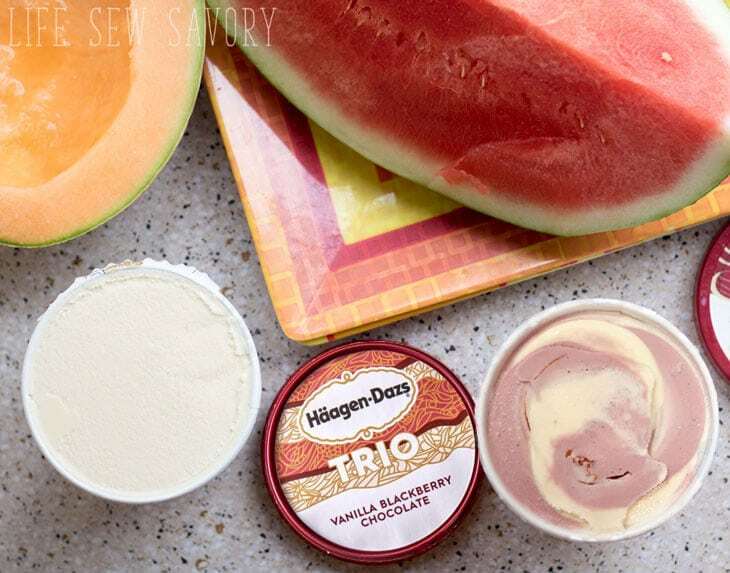 Okay, what you need to recreate this amazing dessert… watermelon and a Häagen-Dazs flavor of your choice. 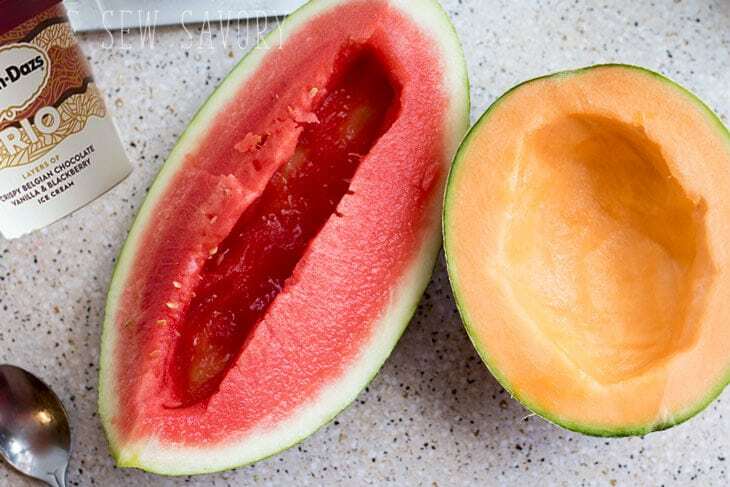 In all honesty, these photo show a muskmelon as well, but I found it was too hard to slice while frozen, so for now I’m just going to suggest watermelon. 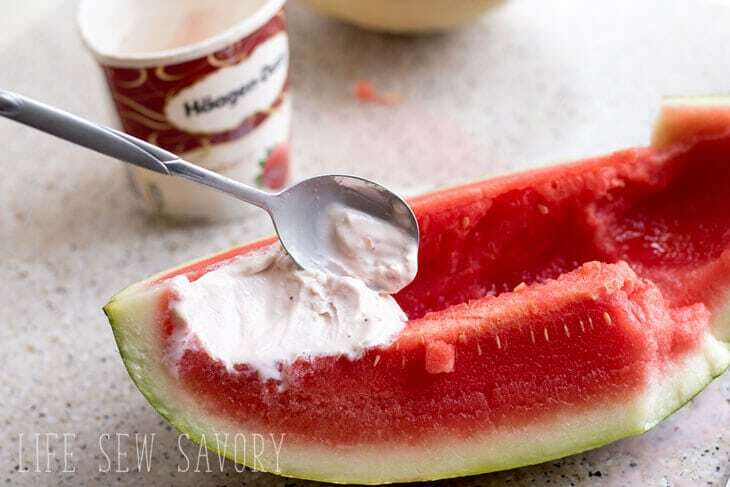 Hollow out the watermelon, try to leave the sides high to keep the ice cream in. Scoop all the way down to the bottom. 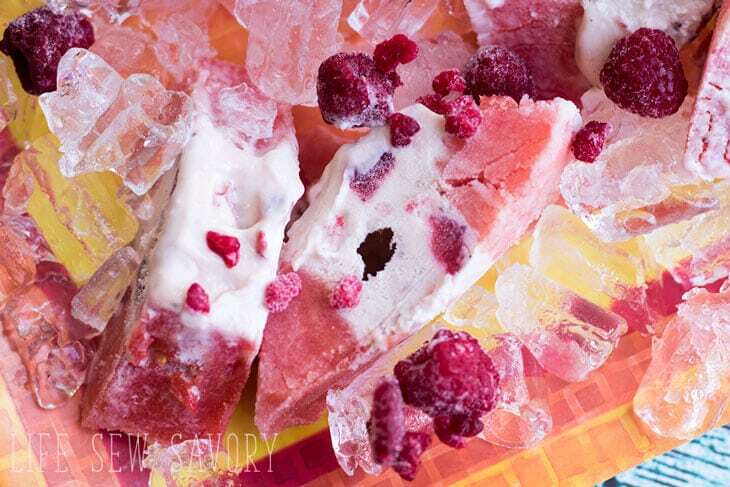 Fill with ice cream and place in the freezer until frozen. I left mine over night. 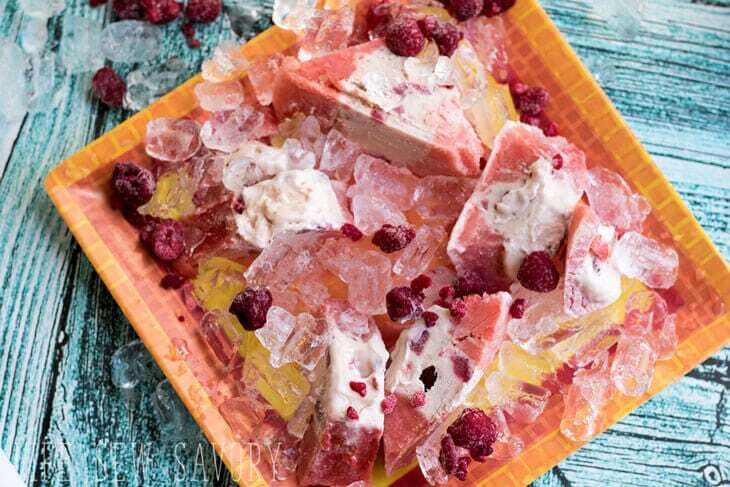 Once frozen slice the watermelon and place on an iced tray to serve. 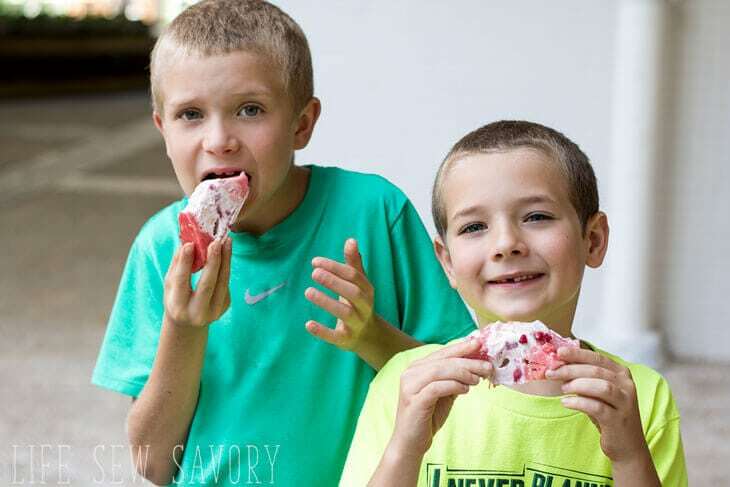 You can serve with the watermelon ride or cut it off. YUM! 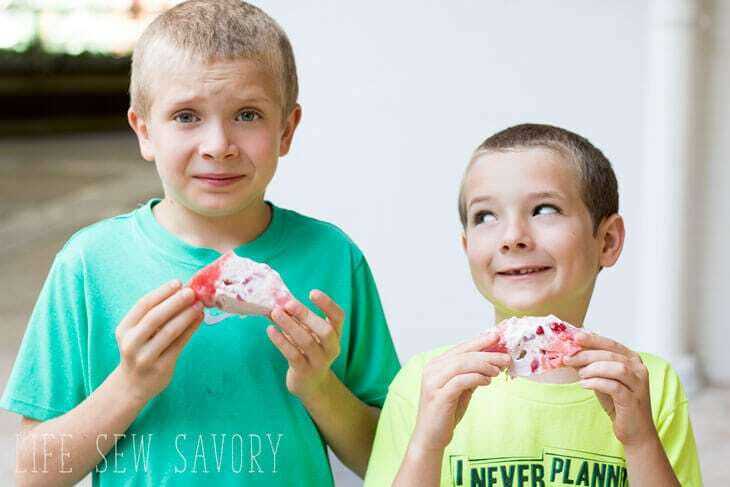 Eat with your hands or with spoon. 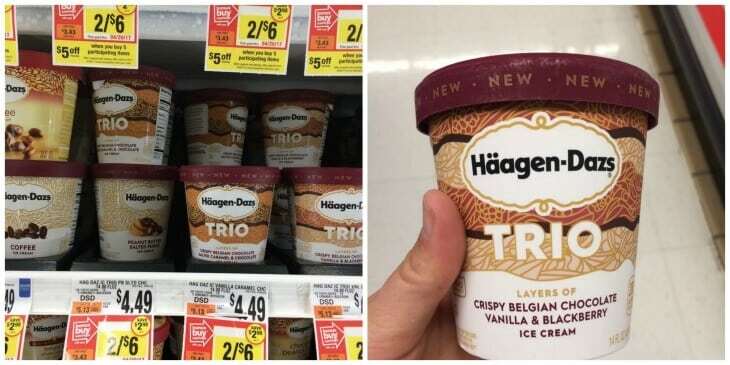 Head over to the Giant Store site where you can clip a coupon and receive $1 off their purchase of any three (3) Häagen-Dazs 14 oz or bars, 3 ct.
« New Spring Outfit for ME!